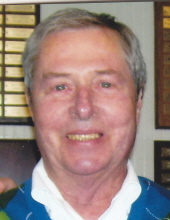 Ronald F. “Ron” Lowery age 74 of Bloomington, IL passed away peacefully surrounded by his family at 7:28 AM on Saturday, April 6, 2019 at his residence. His funeral service will be at 11:00 AM Wednesday, April 10, 2019 at Calvert & Metzler Memorial Home, Bloomington, IL. Gregory Clark will be officiating. Visitation will be 4:00 PM -7:00 PM Tuesday at Calvert & Metzler Memorial Home, Bloomington, IL with a Masonic service at 7:00 PM. Entombment will be at East Lawn Mausoleum, Bloomington IL. In lieu of flowers the family suggests memorials be made to the American Passion Play. Ron was born May 6, 1944 in Bloomington, IL the son of Andrew Frank and Bernadine Lee Dennis Lowery. Ron is preceded in death by his parents. He married Linda Orr on January 29, 1964 in Stanford, IL. She passed away May 4, 2001. He later married Mary Drybread Keeran on July 16, 2005 in East Peoria, IL. She survives. Also surviving, 2 daughters, Linnette (Shawn) Desch, Stanford, IL, Lisa (Jeff) Young, Champaign, IL, son, Jay ( Robyn ) Keeran, Pickerington, Ohio 3, grandchildren, Andrew and Taylor Desch, Stanford, IL, Logan Young, Champaign, IL, 1 brother, Charlie Lomascolo, Atlanta, IL, 4 sisters, Pat Lomascolo, Atlanta, IL, Judy Lindsey, Reno, NV, Judy Kail and Sarah Grimes, W. Baden, IN. "Email Address" would like to share the life celebration of Ronald F. "Ron" Lowery. Click on the "link" to go to share a favorite memory or leave a condolence message for the family.